What Are The Best Duck Deterrents And What Theories Do They Work On? Duck Deterrents are becoming popular with property owners because ducks are can be real problems in many places. Ducks can ruin the beauty of nature and views of a certain area. Even though ducks are good to look at, the waste and feather they bring can be a big problem for property owners. If there is a massive population of ducks in your place and you do not know the best solutions on how to get rid of them, then looking into duck deterrents is the most humane way to keep ducks from your property. The best duck deterrent is the one that can shoo away ducks in different water places peacefully without being cruel to them. The following are the principles that the best duck deterrents use to help you get rid of ducks in your place. Duck deterrent is effective with the use of scare tactics like cap guns or flare guns that only make noise, but do not harm any duck. 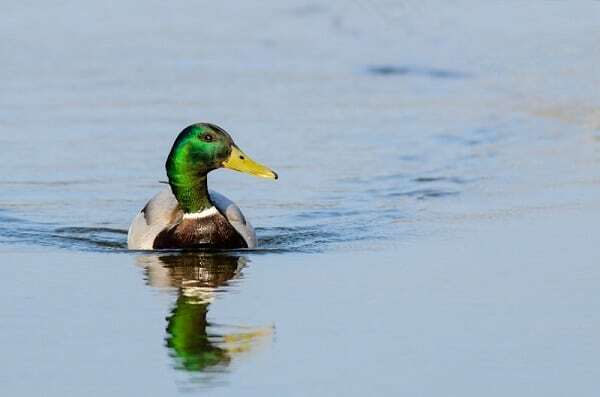 If you see your duck is roaming around the pond, you need to go outside then fire off a few rounds of loud noise in the direction of the ducks in order to shoo them away. A cheaper duck deterrent alternative is to have a real gun. You can then shoot it off in a blank area to prevent any accidents, although this is not reasonable for many property owners who find themselves in urban areas. The use of this electronic is duck deterrent method is also an effective way to get rid of ducks. By determining any movements coming from your ducks and producing a loud noise, this is an effective duck deterrent. However, the problem of some electronic devices is the repetition of noise all over again, making ducks get used to it by then. If you want to have this electronic device, go for the device that has a variety of sounds. You can find some electronic duck deterrents here. The physical control method of duck deterrent is through the use of fences and barriers to prevent ducks from getting near your premises. However, most people do know that ducks can fly. So, fences and barriers are not as effective as other methods. Spikes can work but it is unlikely that ducks are perching on areas. Dogs love to chase ducks. The reason why dogs can be a great duck deterrent is that they love to chase ducks no matter what. Some dogs will also go in the water which gives the ducks no respite on your property. With the use of an effective duck deterrent, you can prevent your ducks from roaming around your house and pond. You can surely prevent all unwanted movements of your ducks with the use of duck deterrents in your home and pond. Duck deterrents can be vital on preventing your ducks from destroying your place and views. If you have any experience with duck deterrents, please share so everyone can benefit from your experience, use the contact page.